If you can find a sparrow, you will find a Lithuanian, an old saying goes. There are more than a million people of Lithuanian decent living outside of Lithuania, more than a half of this number in the USA alone. Augustinas Žemaitis is a keen traveller who has been to more than 90 countries so far. 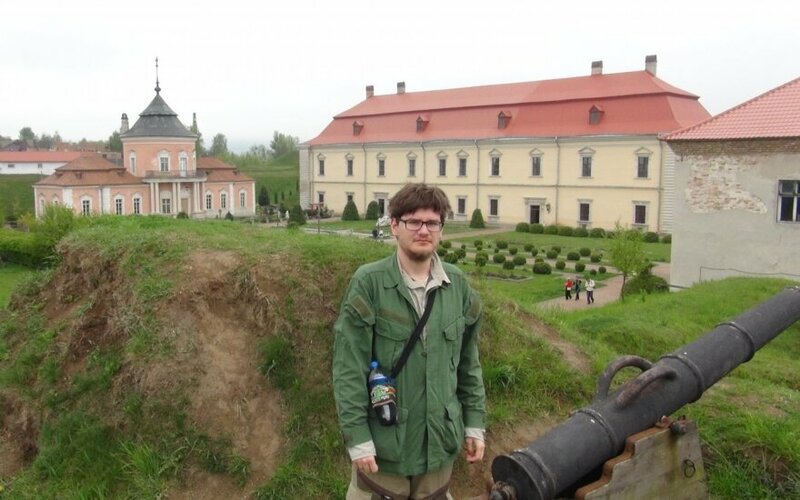 In his numerous websites, he seeks not only to present Lithuania to foreigners and, but also to introduce Lithuanians to the countless traces of Lithuania that exist all over the world. 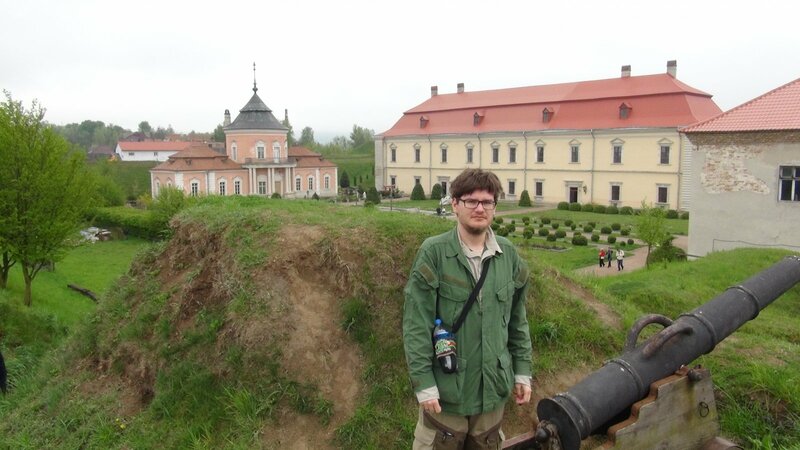 The Lithuania Tribune meet Augustinas to talk about it, before he is gone on the “Destination – America” journey, which will be his largest Lithuanian-locations-search journey so far, covering 11 states of the USA. You are the founder of the website True Lithuania. What is it about and why did you decide to establish it? Tell us more about it. Back when I launched "True Lithuania", much of what was available about Lithuania in English was written by foreigners. That information was often superficial, incorrect or even biased. The English websites on Lithuania written by Lithuanians (often state-sponsored) that existed at the time often fell into one of two categories. The first category is what I call websites-adverts: they are pretty to look at and have expensive designs, but they give next to no information. An exact opposite are the websites-directories: they are simply overloaded with specific facts without any emphasis given. For instance, there are tourism websites that list all the manors or all the churches with an equal amount of information presented on every one of them. Having travelled much myself and being interested in foreign cultures, I know that both of these website types are not what a foreigner usually wants to see. "True Lithuania" was thus modelled after popular guidebooks ("Eyewitness Guides", "Insight Guides" and such), which provide much information, yet are not overloaded with details. They provide many images, yet are far more than just a pretty sight themselves. I also try to use my own experience in foreign countries to better presume what would be important, interesting, and surprising to a foreigner about Lithuania and concentrate on that. So, basically, I created "True Lithuania" to describe Lithuania in a way that I would want to read about a foreign country myself. How about your other website, the one about the Lithuanian locations abroad? That one is called "Global True Lithuania". It is full of articles and pictures on things related to Lithuania you can visit in the foreign countries. . I made that website bilingual in Lithuanian and English as there was a great lack of information about such locations online in both languages. All over the world, people are now searching for sites related to their own nations in their travels. For instance, many Poles, Germans, Jews travel to Lithuania primarily to search for their "own" heritage. Lithuanians themselves, however, so far have quite little knowledge about their rich heritage abroad and with "Global True Lithuania", I aim to change that. Have you found traces of Lithuanians in all the 99 countries you have visited? In "Global True Lithuania", I do not research every kind of Lithuanian trace, but only those that can be interesting to experience. Those that can be visited or seen. So far, I have discovered such immovable Lithuanian traces in 32 countries and 24 US states (out of 50). Those are the Lithuanian castles, churches, monuments, cemeteries. Those are the graves of famous Lithuanians, locations named after Lithuania, Lithuanians or named in Lithuanian. However, if we'd talk simply about Lithuanians living there, or Lithuanians visiting there, or graves of at least a single Lithuanian person, then, of course, we would probably be able to include nearly every country in the world as having Lithuanian heritage. Such "minor heritage" is, however, beyond the scope of "Global True Lithuania". What was the most exciting and sad experience of finding Lithuania abroad? It is especially exiting to find such traces of Lithuania that are not simply interesting because they are Lithuanian and far away, but because they are impressive in and of themselves. For instance, the massive neo-Baroque Holy Cross Lithuanian church in Chicago has been included into the guides of Chicago architecture among the city's greatest buildings. The Grand Duchy of Lithuania castle at Mir and palace at Nesvizh are among the top sights of Belarus while the Lutsk castle is equally famous in Ukraine. Also exciting are the sites extremely important to Lithuania. Many key events of Lithuanian history and culture have actually happened outside Lithuania, and there are often forgotten-yet-interesting traces of that. The saddest experiences are always those where the Lithuanian locations disappear. This is, unfortunately, very common these years, as the USA's impressive former Lithuanian clubs and churches get torn down, their art and histories scattered and lost forever. Nothing physically Lithuanian remains in places where so much had existed for 100 or more years. Such a sad fate of some Lithuanian locations is not strange, however, as, often, only the older generation of local Lithuanian diaspora cares about them (and their powers are limited). There is little realization in Lithuania or its general diaspora on what Lithuanian things exist beyond Lithuania and its immediate neighbours (e.g. Belarus). Even the Lithuanian institutions had so far only a limited knowledge of Lithuanian heritage abroad. I can give you just one example. The Ministry of Culture keeps an online list of immovable Lithuanian heritage abroad. However, many of the objects listed there have already been destroyed without any attention from within Lithuania. One of them, St. George Lithuanian church in Chicago, had been destroyed in 1990 – before that list was even prepared. With my work, I seek to fill that void of knowledge, to spread the information on the heritage of Lithuania among both the ordinary Lithuanians and the Lithuanian institutions. To change the perception that the Lithuanian heritage abroad is somehow less important. After all, only a heritage that is known, cared for and visited can be protected. What is the most surprising place where you found traces of Lithuania? In another sense, the furthest traces of Lithuania may be the most surprising, such as the statue of Eglė the Queen of Serpents or the miniature copy of Trakai Castle in Canberra, or the copy of the Kaunas's Freedom statue in Sao Paulo's square named after Lithuania that lies in the middle of what was the only Lithuanian neighborhood in South America. To me, such surprises come long before I visit the locations, as I learn about them during arduous searches that often include looking through internet forums and old Usenet groups, reading scanned historic newspapers and more. There have been, however, situations where I, surprisingly, found new nowhere-mentioned Lithuania-related sites already on-location. For example, in the downtown Detroit I accidentally discovered a serious-looking memorial plaque, that basically says in Lithuanian "The founder of the FLUXUS movement Jurgis Mačiūnas [George Maciunas] was born here 1931 11 08 – 1978 05 08". Apparently, that memorial plaque itself is an example of FLUXUS art, since its message is entirely fictional (Mačiūnas was born in Kaunas, Lithuania). Moreover, all my attempts to learn about the plaque's origins and authors have failed. There was no information online, Detroit Lithuanians I talked to did not know about it, and in five years since the mystery about the plaque has been published on the "Global True Lithuania" website, no one has contacted us with details. Do you research possible Lithuanian traces when you are going to a country? Yes, I do. If I find such information, I try to make a detour to get a picture for "Global True Lithuania" and learn more about the site. If the location warrants it, I try to meet the local Lithuanians to hear its story. Often, these stories are unwritten before I hear them, or written only in some old local Lithuanian diaspora periodicals that are not even widely available in Lithuania or to the other diaspora communities. Which Lithuanian community was the most helpful in your research? We receive help from most Lithuanian communities we contact. These communities want to help the world learn about what they have created, and "Global True Lithuania" is so far the only outlet that researches and publishes that in a way that is accessible to a contemporary person (i.e. on the internet). During my visits, Lithuanian communities in Brazil, Australia and the USA have been especially helpful. So, what is the "Destination – America" journey, your next big plan? This we have launched for the Republic of Lithuania centenary. This will be the first mission specifically aimed to discover the Lithuanian heritage. We will spend 16 days visiting 11 states in the northeast USA, driving over 3000 km and seeing well over 100 Lithuanian sites. Each site will be photographed. We will hear their stories from the local Lithuanians. And, in the end, we will publish an interactive map of the Lithuanian sites in the North-Eastern USA, allowing Lithuanians and Lithuanian-Americans to discover them, to see the images and read the stories and, hopefully, visit themselves. After all, all these locations are close to the main US cities many Lithuanians travel to, work at or study at: New York, Washington, Boston, Philadelphia. This map will be completed by December 2017. Have you had any help from the USA Lithuanian community so far regarding this project? "Destination – America" would be simply impossible without the help of the USA Lithuanian community. They know many unrecorded stories about the Lithuanian sites there. They have the keys. Moreover, talking to them, I was able to discover information about Lithuanian sites I knew nothing about. It is possible that some of them had been known only to the Lithuanians from the area. Currently, I am having lots of online contact with Lithuanian-Americans who want to help, and I will meet many of them on site. The "Lietuvos vyčiai" ("Knights of Lithuania") organization has been especially helpful in arranging many of these contacts. We also cooperate directly with other organizations, such as the Lithuanian-American cultural archive or the Lithuanian monasteries. What other assistance would be helpful? Information about more Lithuanian sites, arranging the possibility to get inside what is closed is always welcome. Any grand projects after this one? If the project will be successful, I hope there could be a possibility to repeat it in two other areas where there is enough Lithuanian heritage to warrant a similar project, namely the Mid-West region of the USA and Canada. Why do you think there was little attention for the Lithuanian American heritage from Lithuania so far? If you ask "why Lithuanian tourists don't visit the Lithuanian sites in America" – I think a lack of information is the main reason. And that lack is here because it is still not long after America became truly accessible from Lithuania. Until the 1990s, it was simply impossible to go there. Until somewhere in the 2000s, the flights were unaffordable to most Lithuanians. Information and perception is extremely important for generating tourist interest. For example, back in 2012, my suggestion that, in advertising Kaunas for tourists, we should put more emphasis on its interwar architecture (which is more unique on the European scale than Kaunas medieval architecture), seemed strange to many. Right now, Lithuanians have learned about the interwar buildings of Kaunas, and are greatly interested into it, and they are drawing foreign attention. If you ask "why Lithuanian government did not safeguard the Lithuanian heritage in America" – one additional reason is that we in Lithuania are used to the thinking that Lithuanian-Americans are much richer than us and so they can care for themselves, and perhaps are also obliged to support Lithuania. Indeed, this was the case in the 1990s. Today, Lithuanian-Americans may still be richer than the Lithuanians of Lithuania, but that difference is declining. What is more important, the Lithuanian-American ties to Lithuania have been dwindling as well, as the old generations are replaced by new America-born generations, often of mixed ethnic origins. After all, with Lithuania joining the European Union, most of the Lithuania's current emigrants go to the Western Europe. Therefore, the old 1860s-1950s trend, whereby old Lithuanian-Americans would be replaced by new immigrants in safeguarding the Lithuanian locations in America, has been cut for good. However, I think it is important that Lithuanity would remain in America, and we need to find new ways now, to make the Lithuanian identity appealing to that new generation of Lithuanian-Americans, make the Lithuanian stories and tragedies well-known and well-felt even beyond the Lithuanian-American community. How, do you think, it would be possible to achieve that with far less new Lithuanian-Americans than ever before? In my opinion, a good way for that is to "convert" that heritage created by the Lithuanian-Americans of the past into something that would be interesting and well known to the descendants of those Lithuanian-Americans, to all the Lithuanians in the world, and to Americans as a whole. This is not some radical new idea. Other nations have already done it with great results, e.g. the Jews or the Irish. There are few new Jewish or Irish migrants to America, yet what was created by the hundreds of thousand immigrants 50, 100 or 150 years ago has been inspiring not only the Jewish-Americans or Irish-Americans, but also non-American Jews, non-American Irish, non-Jewish/Irish Americans, and even non-Jewish non-Irish non-Americans. For instance, many synagogues that are no longer used have been converted into Jewish museums, including Vilna Shul, the Boston synagogue named after Vilnius that will be visited during the "Destination – America" project. The Irish Famine and the Holocaust are well-known stories to every American. St. Patrick day and Hanukkah are well-known festivals. Even when researching the old Lithuanian clubs in America I am often surprised to see many of them celebrate the St. Patrick day! And in this way, the stories of Soviet Genocide, of the Lithuanian partisans, of the knygnešiai, the Baltic Way and more could be inspiring both to those Americans who had some Lithuanian ancestry and the non-Lithuanian Americans. On the long run, this could even be profitable to Lithuania (e.g. through increased American tourism to Lithuania). Moreover, it is extremely useful for Lithuania to have American support. Today, I think, it is inconceivable that USA would allow any tragedies of such scale to befall Israel or Ireland. Americans now see those nations as part of their own world, not a foreign world. Such perception about Lithuanians could be the goal for Lithuania as well. And Lithuanian heritage could be used to build the bridges necessary for that. We like to talk about a global Lithuania. So far, however, that global Lithuania is often turning into dust... In America, at least. Why is it turning into dust? How would it be possible to safeguard Lithuanian heritage abroad if it is no longer supported by those who did that? Indeed, some Lithuanian locations are no longer necessary to the current owners. For example, the Roman Catholic Church in America often consolidates the former ethnic parishes as, currently, both the descendants of Lithuanians, Poles, Slovaks, and the rest speak English well enough to attend the same English mass. However, a Lithuanian location is far more than what it is "on paper" and, therefore, it should be important for far more people than its users or owners. For example, Lithuanian churches also functioned as Lithuanian clubs, Lithuanian schools, Lithuanian museums, they contain much Lithuanian artwork, including (or even mostly) non-religious artwork, Lithuanian inscriptions and more. If the building is destroyed, all that is lost forever, the Lithuanian history of the location is wiped out. To prevent their destruction, ultimately, cooperation is needed between groups that have so far had relatively limited cooperation. Namely, the old local Lithuanian-American communities (often the only ones so far who are truly campaigning for heritage protection), the Lithuanian-American communities from the other cities, the new Lithuanian-American communities, the Lithuanians from Lithuania, and, last but not the least, the Lithuanian government. To cooperate in protests for heritage protection, you mean? Protests are helpful to spread the message and attract attention, but there are additional possibilities. It may be possible to, for example, for Lithuania to acquire a former Lithuanian church or club in order to continue its Lithuanian use, consolidating all the area's Lithuanian activities to that location: diplomatic and consular, promotion of Lithuanian culture, business and products, advertising tourism to Lithuania. Such localities may also include a small Lithuanian museum, Lithuanian cafe, Lithuanian art galleries, Lithuanian events for the local Lithuanian-Americans, their descendants and other Americans. Often, that is not even that expensive: for instance, the Cleveland's St. George Lithuanian church (built in 1921) has been apparently sold for just 11 000 USD (to the farmers who will use it for agriculture). Some other Lithuanians churches were torn down because the bishops found no buyers to them. At least one has changed hands for 1 USD. In the globalizing world, countries are increasing their international representation, not only in the form of embassies and consulates, but also in the form of cultural institutes and more. Often, such institutions are established from scratch, but it is much more appropriate and powerful to be done in buildings that already are ingrained in Lithuanian history. Recently, I've been asked by an American teacher where could she lead her class to learn more about the Lithuanian culture, enjoy Lithuanian activities. She was interested in that because her students had an assignment to read Upton Sinclair's "Jungle" where Lithuanians are among the main characters. I did not have much to suggest her, however, beyond giving some contacts of the local Lithuanians. It would have been much easier for me to point at, e.g., Jewish or Irish experiences in her location, despite the fact I am not even researching the Jewish or Irish heritage. There are often little Lithuanian activities even in places where thousands of Lithuanians once migrated to, and what Lithuanian locations still exist are nearly unknown to the Americans. And this is what can be changed and, in my opinion, should be changed. If kids like those would be able to experience Lithuania within America, to them, Lithuania would no longer be just "some unknown foreign country". And these kids are future American voters, who will elect leaders who, in turn, may have influence on the Lithuania's future. These kids will also be travellers looking for destinations, businessmen looking for investment opportunities. The USA is greatly interested in its minorities. But it is up to us to get Lithuanians among those minorities they are interested into. It is a difficult job, though not impossible, and the "Destination – America" map of Lithuanian locations in America with English information on them is, I think, an important step for that as well. How about transporting, where possible, the Lithuanian heritage back to Lithuania, where it is easier to save? Indeed, so far, much of the Lithuanian effort and investment has been into repatriating the Lithuanian heritage. But some heritage cannot be repatriated (e.g. the buildings). Even with the other heritage (e.g. the remains of famous Lithuanians), the case for repatriation is increasingly more doubtful. The world is becoming a smaller place, traveling becomes both easier and cheaper. The Lithuanian heritage in America is no longer "unreachable" for most Lithuanians as it used to be 30 years ago. Lithuania is already teeming with Lithuanian heritage. On the other hand, elsewhere, Lithuanian locations are much scarcer. As they are scarcer, they can also be more powerful as the only Lithuanian heritage in some foreign city. I am glad that "Destination – America" project won the Lithuanian government support despite it being not about repatriation, but rather about making the Lithuanian heritage better known and more accessible where it is. This may be the first step into a change of perception about the Lithuanian sites abroad. And every journey begins from the first step.